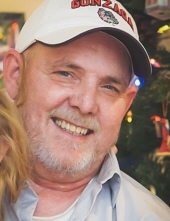 Todd A. Holmes, 55, passed away Monday, March 25, 2019. He enjoyed fishing, hunting, and spending time with family and friends. Please join Todd's family in celebrating his life on Saturday, March 30, 2019 at Bunker Bar, 1950 S. Eber Rd, Holland, beginning at 3 PM. To plant a tree in memory of Todd A. Holmes, please visit our Tribute Store. "Email Address" would like to share the life celebration of Todd A. Holmes. Click on the "link" to go to share a favorite memory or leave a condolence message for the family.